Our glamorous diamond and blue sapphire drop pendant will add captivating charm to your look! 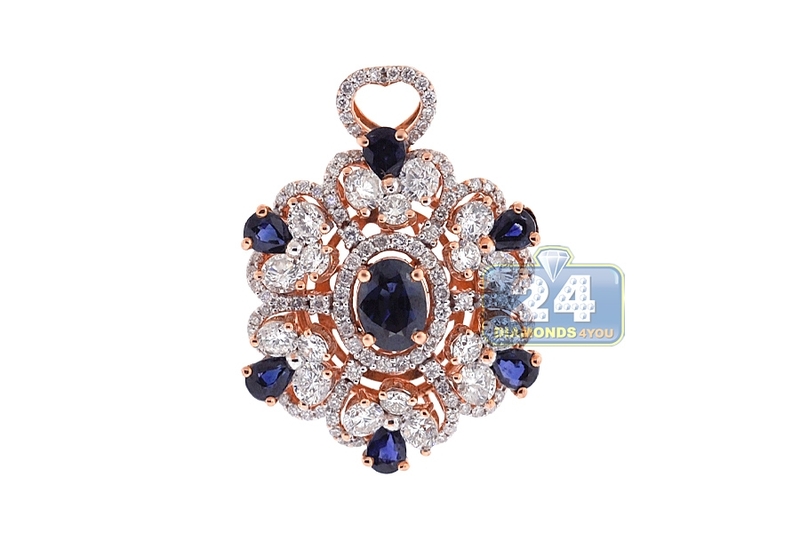 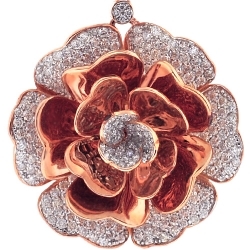 It is masterly created from unique 18k rose gold; set with icy white round brilliant-cut genuine diamonds totaling 2.79 carats and heated blue oval-, pear-cut genuine sapphires totaling 2.79 carats. 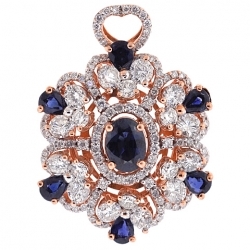 Irreplaceable piece of jewelry! 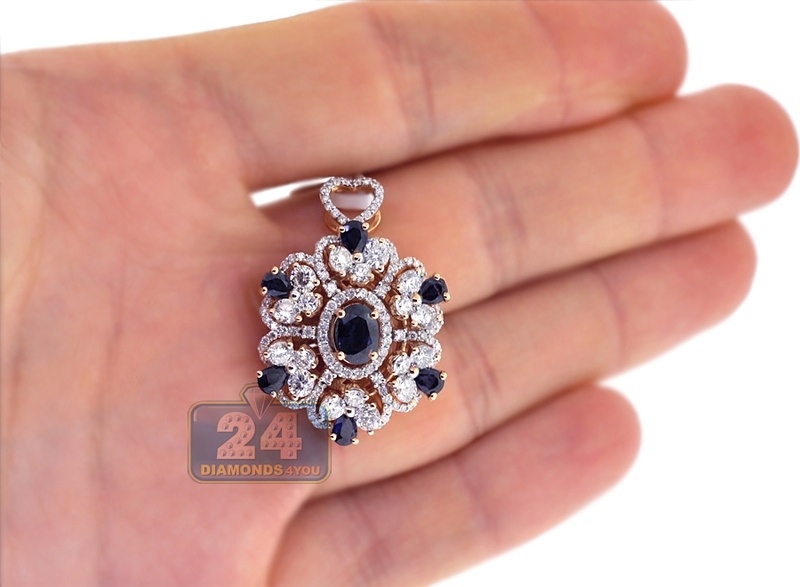 Women's gemstone pedant measures 31 mm in height and 23 mm in width. 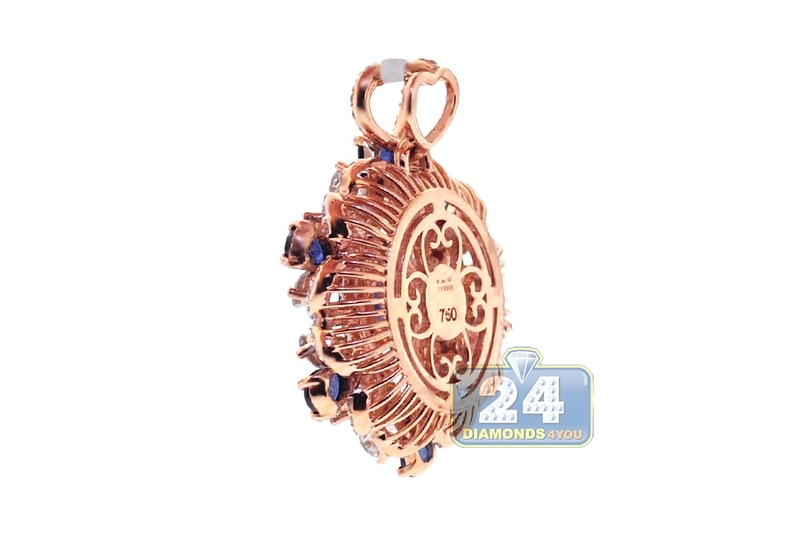 This pendant is a part of the set - ring and earrings are also available.